Sometimes I feel I am truly blessed. I have had an opportunity to visit places probably very few people get to venture into. Those were days when I’d travel extensively in North East India. I have always been highly fascinated by the culture of Manipur – both Maitei and the tribal heritage. 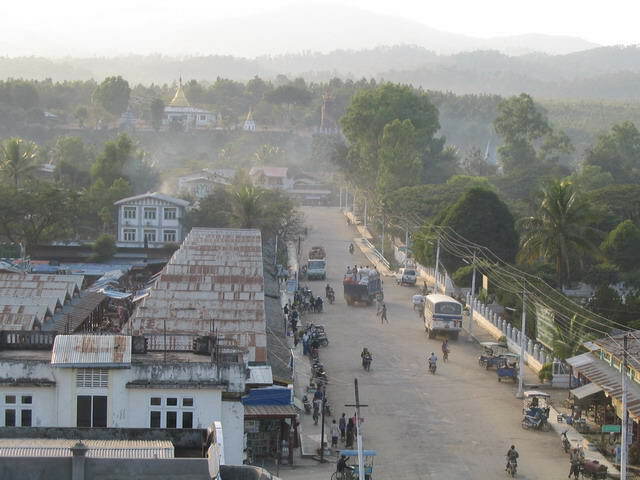 However, some of my favourite moments in Manipur would be my visits to Moreh and crossing over to Tamu in Myanmar. 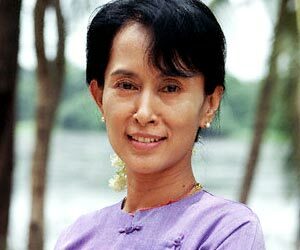 It was in November of 2010 that Aung San Suu Kyi was released from house arrest after 15 years, by Myanmar authorities. That was a day I rejoiced and decided the theme of my next article. A plethora of memories gushed through my mind. Manipur happens to be one hell of a fascinating state. However, my visits to this state would be incomplete had it not been for the opportunity to cross over to border town Tamu in Myanmar – to meet some of the most amazing people on earth, and, of course, having my Khauk Swe and Mohinga. I have had a zillion memorable experiences while travelling through the green valley embracing the peace that the air there gives you. A montage of images appear in my mind as I think of Burma or Myanmar – a country that shares its borders with four states of India viz. 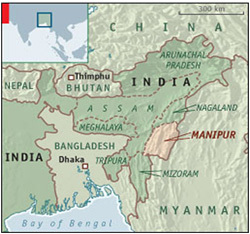 Arunachal Pradesh, Mizoram, Manipur and Nagaland. I remember Bose’s journey, I am reminded the fact that the oldest school of Buddhism – Theravada is followed by a majority of the people there, the ironic of Buddhist principles – the military junta and a determined woman who stands strong for democracy – Suu Kyi. I got a chance to meet her husband Michael Aris – a renowned Tibetologist of his time during his visit to India several years back. Our encounter naturally revolved around the struggle for a democratic Myanmar. He was well versed, highly knowledgeable about Buddhist philosophy and Himalayan culture. Between Aung San Suu Kyi’s house arrest and Michael Aris’s death, the couple met just five times. Their children’s Burmese visas were deemed invalid and later cancelled. The little family unit could see the military junta’s effort to break Suu Kyi’s spirit by separating her from her children and her husband. But they stood by each other in spirit even though separated by continents. I find it hard to fathom – such relationships. How important nationalist struggles become and personal sacrifices leaders make. I truly hope these sacrifices see the positive light at the end of the day. Though I get crippled in my mind sometimes to see how insignificant humanly concepts are when it comes to the larger context of the universe. Earth is too small in the framework of the universe. Food brings laughter and humour to my life; I sincerely believe it should bring to other people’s lives as well. People do not just deserve to eat, but to eat well. And there is no denying the fact that there are millions who do not get sufficient food to eat – but at the same time, the most interesting food stories sometimes emerge out of a small hut in a Koliwara village in Mumbai or a make shift arrangement of a ‘home’ of the ghadiya lohars on the streets of Delhi. There are many people I observe, for whom food is a formality or an unavoidable day-to-day necessity. For me, it is an experience. It is a way of knowing the pulse of a people. It is a way of life. For me, it has non negligible anthropological significance. Why do I connect with Burmese Food? Burmese food is one of my favourites. Even in Delhi I ensure that my quota of Burmese food is well catered to through a small shop in Vikaspuri. And who would believe me if I said, it is run by a Sardar ji? Well, I am attesting my evidence with this article. 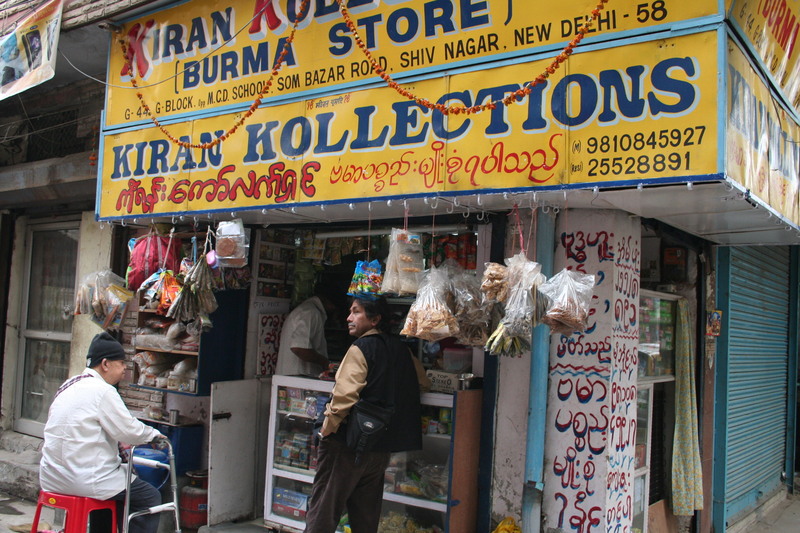 Kiran Kollections is a quaint shop in Vikaspuri. This shop caters to a small Burmese migrant population in Delhi and of course eternal food mongers like me. It has Moe Sabei sunflower seeds, Jun Hua readymade soup, Yum Yum instant noodle, Ah Yee Taung-pickled tea, fried garlic and beans and raw materials like rice noodles, and many more things, all manufactured in Burma. Whenever I am in that part of town, I can’t resist myself to buy my Burmese tuck for the month! In northeast, especially in Nagaland, Mizoram and Manipur, these products are flooding the market, of course. 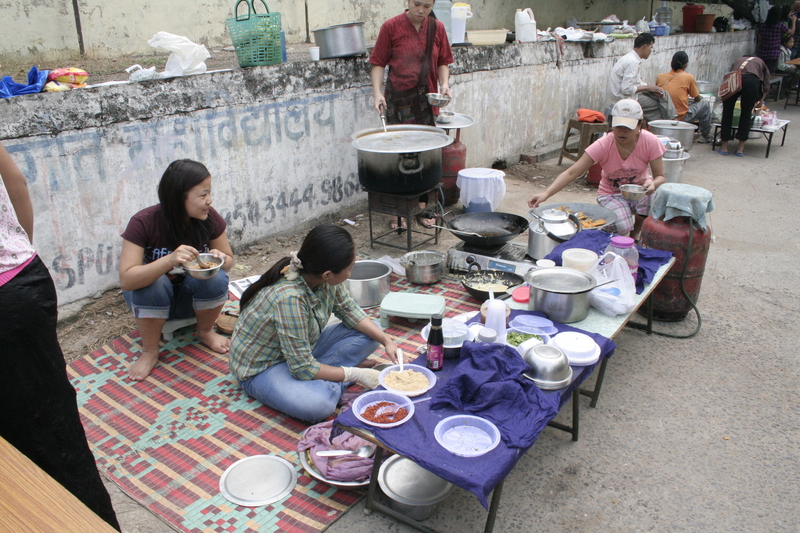 Every year, the migrant Burmese population in Delhi gets together to celebrate a food festival and relive their culture in this region. This year I met a very special person during this festival. I shall come to that later. 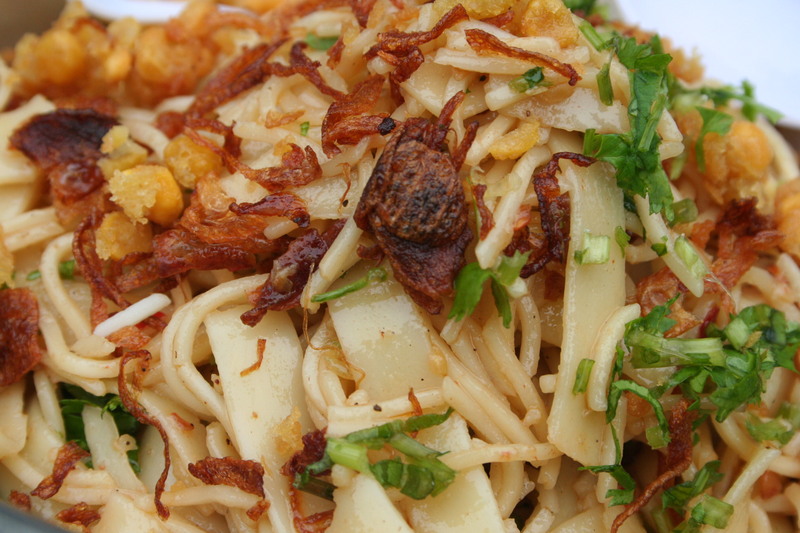 But before that, let’s delve a little deeper into Burmese cuisine – its influences and practices. Burma is an agrarian country and most of the ingredients of their cuisine are fresh. 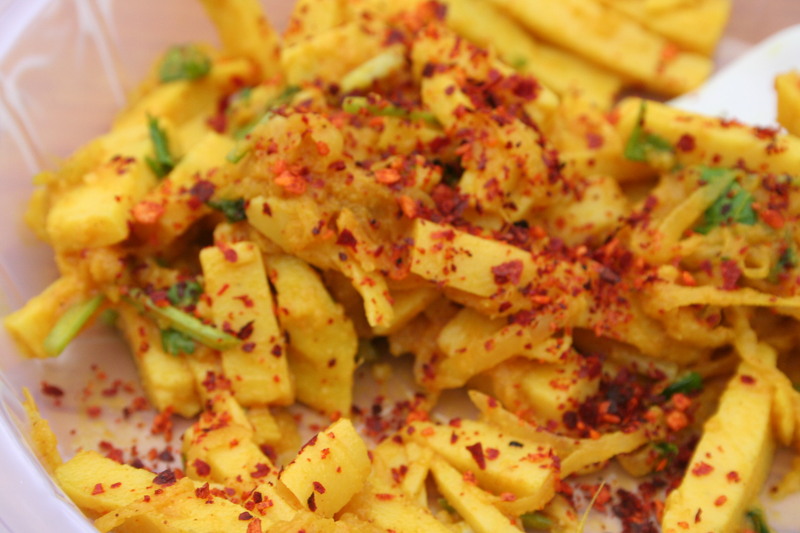 The country gets a massive fragment of its culinary tradition from India and China. However, they have managed to create their own identity of cuisine in a cultural context. With the gradual advent of Islam and Buddhism, beef and pork has a mixed reception in present Burma. While the Muslim population does not eat pork, the Buddhist population abstains from beef. Traditionally, the Burmese would have low sitting arrangements for dining. Their food would be served to the senior most on the table and then served to others. If you leave a little food on your plate, it will be assumed that you need a second helping. 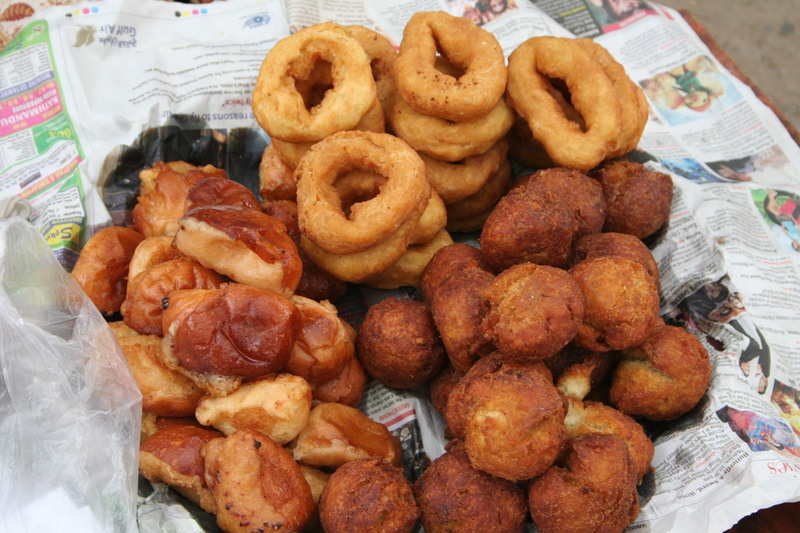 Some of the popular Burmese snacks Ah Kyaw or assorted fries, Bein Mont or Rice pancake, Mont Sein Paung or steamed rice cake. Though these are sweet snacks, the sugar level in each of them is quite mild. Hence, those friends of mine who do not have a sweet tooth enjoy these snacks a lot. The Burmese also prepare a special rice dumpling called Mont Lone Gyi. The Burmese people do not have a tradition of having any drink along with food. Most people do not even take any water during meals. Hence, I am forced to believe that soups are indispensible components of food, for the same reason. Snacks are mostly prepared from glutinous rice, milk and shredded coconut. Many of their dishes will be accompanied by a black bean paste which is the fermented soya bean popular in India’s north east as well. Also, ngapi – a shrimp paste is highly popular. The main dish usually consists of a meat or a fish preparation, vegetables or salads and some kind of soup. They prepare a lot of sea food like fish and prawn, while in eats chicken, duck, pork and mutton is popular. Beef is not that common except for the Muslim population which relishes it. spirited soul himself, not to mention a dynamic life. 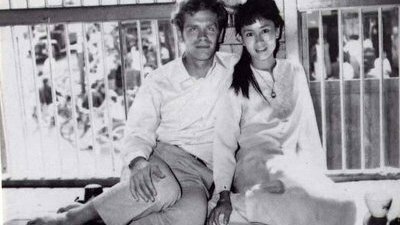 He escaped Burma in the early eighties right through the revolution and was en route to Canada when he met her mother in India and, of course fell madly in love. The journey to Canada never happened. Instead, he stayed over all his life in the metro city I love the most – then Calcutta. Though a citizen of the universe herself, Sarah’s Burmese connect made me prepare Ohn No Khao Suey for her in the memory of her father, on his birthday this year. I was glad she not only relished it, but thought it did justice to her beloved father’s memories. Mr. S-a-w: Eighty year ‘young’ Saw is the epitome of spirit. 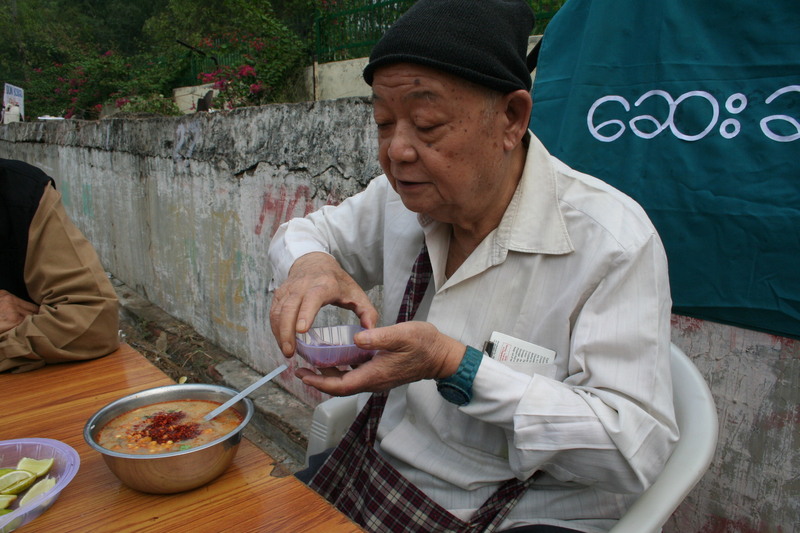 He is a Burmese living in India since the sixties. I met him during the Burmese Festival this year held in Vikaspuri while relishing one of his favourite Burmese dishes – Mohinga. 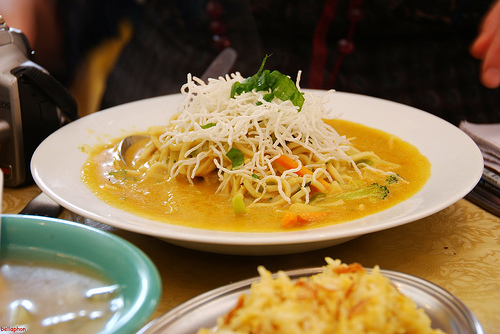 It is a dish prepared from rice noodles mixed in fish soup. Mr. Saw had been to Burma only twice since he stepped on the Indian soil. He was rather surprised when he learned that I have been to Myanmar at least twelve times. When I asked him if he wanted to go back, he was rather sure that he would not. Forty five years is a long time. India had become his home and was in his heart. 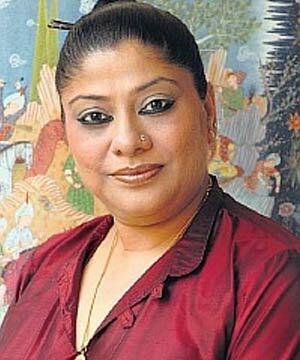 S-a-b-i-n-a: I have beautiful memories of people enjoying the Khauk Swe that I prepare at home; one of them being Sabina (Sehgal Saikia). Every time I prepare the dish, the memories of her calling me up an ‘ordering’ me to treat her with a Khao Swe lunch come back with utmost clarity. She would eat the dish and relish it so much that it would be a sheer pleasure to simply watch her. She had written the foreword for my cookbook NE Belly. We also had this non-northeastern-northeastern bonding —well, that’s a different story altogether. 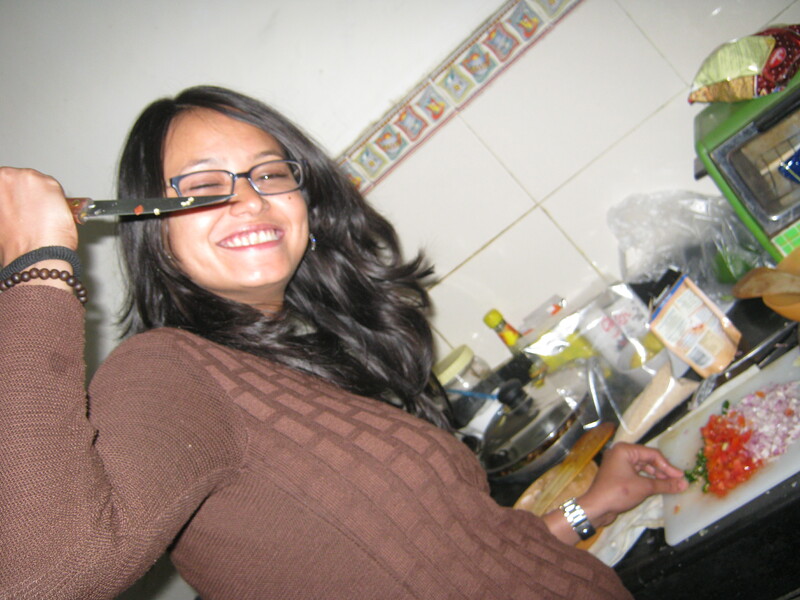 I truly miss this foodie buddy I could so much relate to – I can only pray for the peace of her soul. Roger Bischoffe, a scholar of Buddhist studies has written a paper called Buddhism in Myanmar – a short history. There he writes about four dominant ethnic groups in Burma primarily – the Mon, the Pyu, the Myanmar and the Shan. A lot of migration took place from India towards Burma and vice versa. G.E. Harvey, in his History of Burma, relates a Mon legend which refers to the Mon fighting Hindu strangers who had come back to re-conquer the country that had formerly belonged to them.This Mon tale confirms the theory that Indian people had formed the first communities in the region but that these were eventually replaced by the Mon with the development of their own civilization. 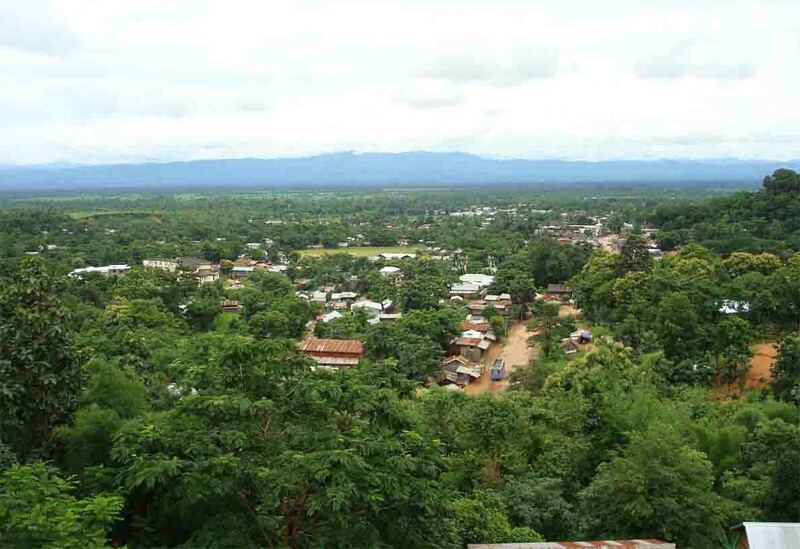 As well as the Indian trading settlements, there were also some Pyu settlements, particularly in the area of Prome where a flourishing civilization later developed. It is also believed that the original name of Burma was ‘pyi htaung zu bama naingan daw’ which also stands for ‘one thousand countries united into a royal Burma. Burmese culture is full of legends, mystical stories and folklores. I am putting here a Burmese folklore that sums up purpose of our lives in some way. It is a version retold by Margaret read McDonald and I have taken the version from the internet. It is called A Kingdom Lost for a Drop of Honey.